Summerhill Kitten Farm: Photo Friday: Spider-Catzilla Caught! 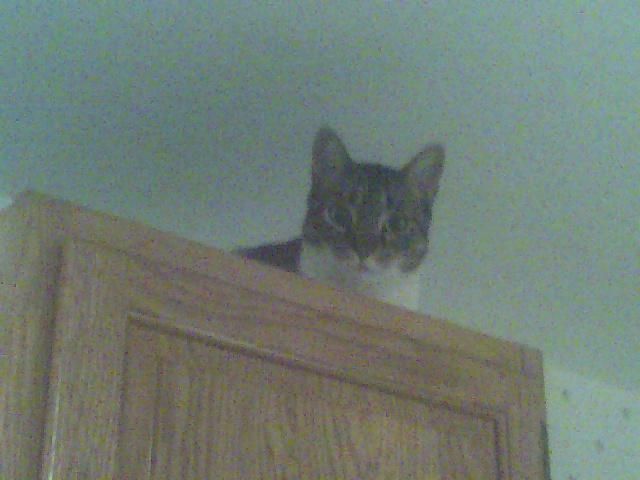 I'm on the west coast, but Katherine sent this evidence of Billy perched where he shouldn't be high in the kitchen. A quite brazen act, I should add, since Katherine was in the next room eating dinner, where she heard him meow to announce the pending ascent.